Want an easy Valentine’s Dessert recipe to impress your lover? 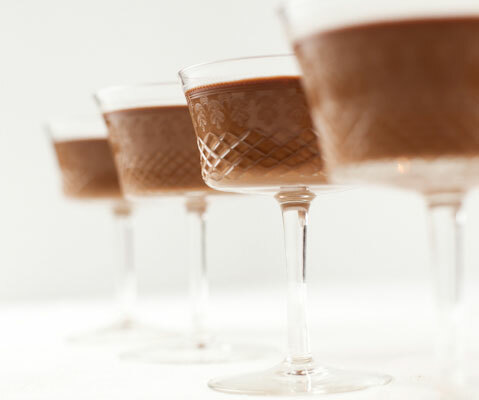 Here I show how easy it is to make milk chocolate panna cotta by Michael Mina – the perfect dessert to surprise your Valentine. This recipe comes from my book – MADE IN AMERICA: Our Best Chefs Reinvent Comfort Food. In an attempt to show quite how accessible and easy the recipes in the book are I made this video of me cooking from the book – Milk Chocolate Panna Cotta from Michael Mina. In a book about comfort food it’s not very surprising to find a large proportion of the desserts to be chocolate based. With over 300 natural chemicals in cocoa beans it’s chock full of goodness: Antioxidents, improvements to cardiac health, lowering cholesterol. Chocolate may not be an aphrodisiac as people often claim; however it is a mood enhancer, boosting the release of the bodies natural antidepressant, seratonin, as well as endorphin levels. No wonder it’s comforting! 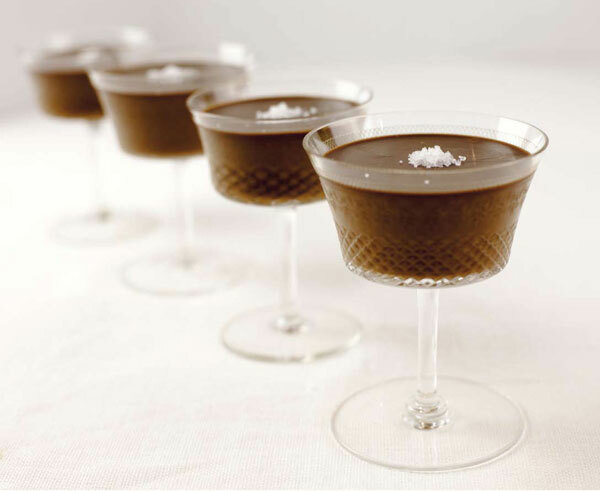 Here we have a recipe from Michael Mina for the Italian chocolate dessert, panna cotta [cooked milk]. 1. Gently melt the milk chocolate in a large bowl set over a saucepan of simmering water. 2. Pour the milk into a pot and sprinkle the gelatin over the cold milk. Heat over low heat for 5 minutes. 3. Add the salt and pour the mixture over the melted chocolate in the bowl and mix until smooth. 4. Add the cold cream and mix until completely incorporated. 5. Fill four 6-ounce glasses 2/3 full with the mixture. 6. Refrigerate until set, about 4 hours. 7. Just before serving garnish with fleur de sel.